If you want to buy new jewellery, look no further. This guide is all you need to get your hands on the trendiest jewellery in the market. 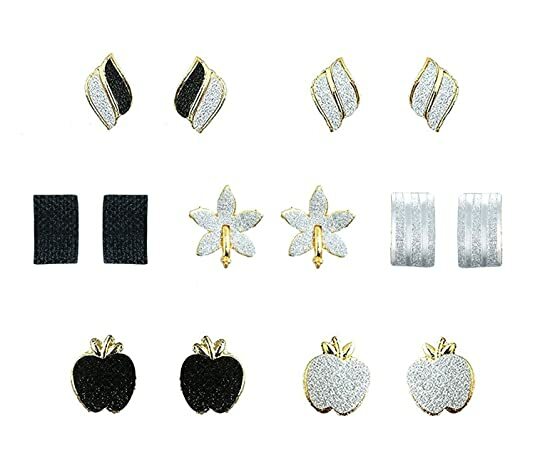 Whether you are looking to gift your mom or buy some new bling for yourself, you should know what is in style and what you could wear them with. Also, jewellery is the best gift you can give to a lady. Think about all the important women in your life. Even if there is no occasion to celebrate, you should buy her jewellery right now and show her how much she means to you. Every woman must have a signature necklace and earring set. Preferably, select a set that would go well with any silk saree so it would instantly make you look and feel like the queen that you are. 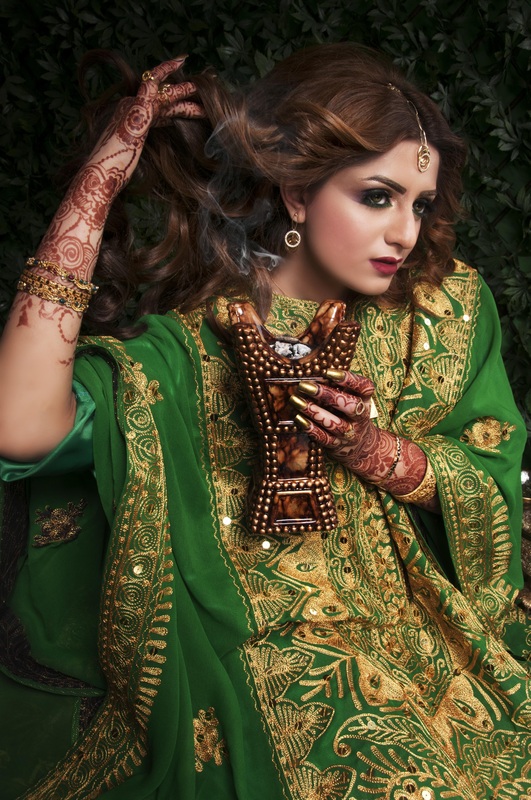 Gold jewellery can be paired with most ethnic wear whereas silver and platinum would go well with dresses and gowns. 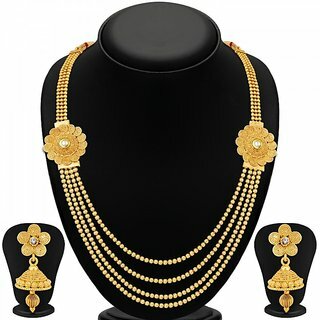 This gorgeous gold necklace and earring set has just the right colour combination to make you feel like a princess. It has red and pink stones carved and shaped to give you an elegant and edgy look. Buy them right here. 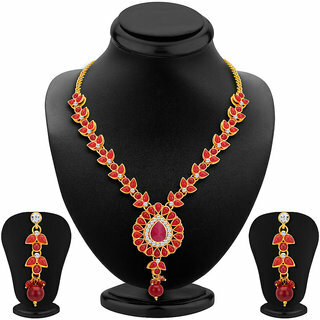 If you prefer an elegant gold set with no coloured stones, you could try this gold-plated set. To order them now, click here! If you want to buy something small yet beautiful that you can wear every day, you should opt for a pendant or a locket. Depending on your style of dressing you can decide if you want to buy a pendant with lots of stones, a single rock or a pure gold one. You could even buy all three! A coloured stone pendant would jazz up a plain boring outfit. Click here to order. 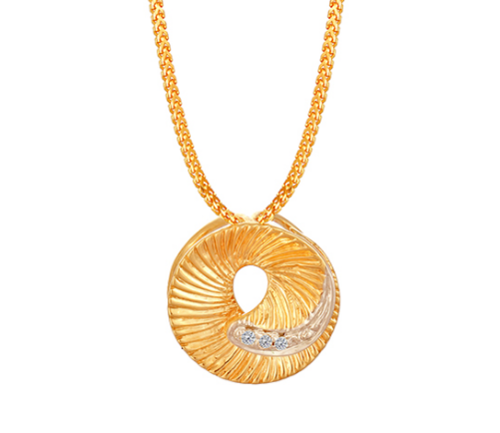 A pure gold locket like this one would blend well with a black dress. Buy one now! Diamond pendants are for those rare yet special dinner dates with the hubby. Order this one here! Bracelets and bangles are all the rage now. Even if you forget to wear your earrings, you should never leave the house without at least one pretty little bracelet on your wrist. It would give you minimalist yet fully groomed look. You should definitely buy a super trendy bracelet or bangle for yourself. These days, gold and platinum bracelets come in all kinds of unique designs. There are few designed specifically for formal occasions and others designed for casual or everyday wear. For some exquisite bangle designs perfect for a wedding, like the ones pictured above, click here. High-quality bracelets for everyday wear are a must for every woman. This particular bracelet goes with just about any outfit you decide to wear. It never has to leave your wrist. To order it right now, click here. Jhumkas are any Indian girl’s best friend. These days, women wear jhumkas with anything from sarees to t-shirts. Jhumkas can instantly make you look gorgeous. 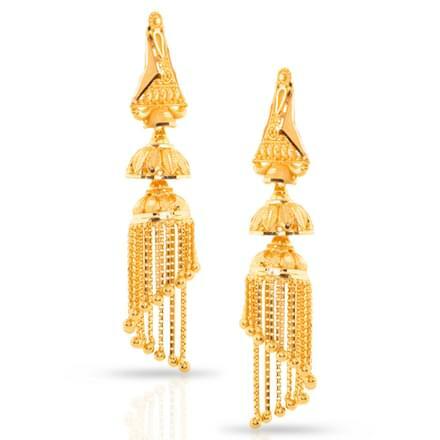 To order this gorgeous pair of jhumkas, click here. If you don’t wear long earrings, you could even buy a few smaller earrings that you can wear to work. If you recently delivered a baby girl, you could buy some cute new studs for her as well! Click here to buy the ones in the image. Another favourite amongst the ladies is anklets. Again, this is a very Indian piece of jewellery that is now being worn with sarees and salwars as well as jeans and shorts. The latest trend is to wear it on just one leg. Buy yourself a cute and simple anklet to wear every day! These days, nose rings come in all kinds of designs. From hoops to fish-tails to simple nose pins, with a stone or without, gold, platinum or silver, there are so many different kinds of nose rings available. They highlight the best features of your face and make you look fierce and lively. A nose ring also serves a perfect gift to a close friend who has a nose piercing. To order one for yourself, click here. If you are looking for a piece of jewellery that is a bit different, opt for a toe ring. Toe rings can make your feet look well-groomed even if you haven’t had time to put on nail polish. To order some cute little silver toe rings, click here. So what are you waiting for? Get that wallet out and start buying jewellery right away!